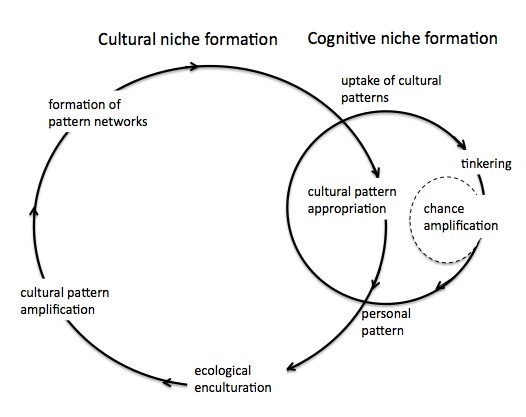 Recently we have worked with my colleague Tobias Ley, on the figure to describe how distributed cognition and pattern-formation associate with individual, collaborative and collective learning – A model for cultural pattern appropriation in learning. 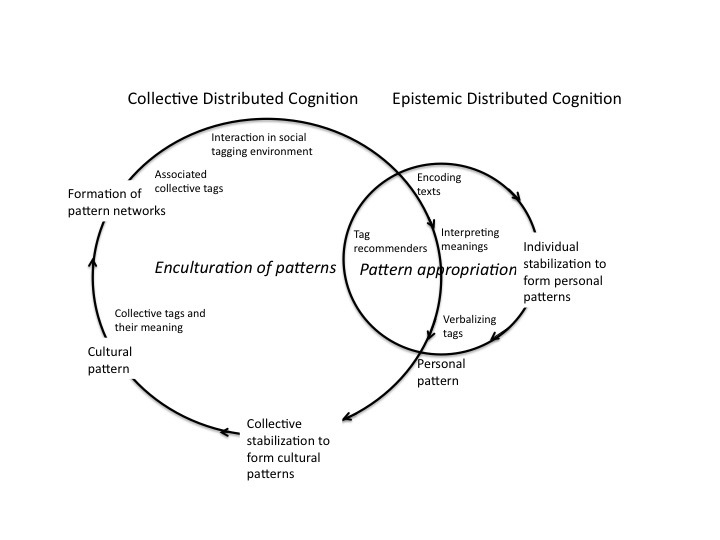 Earlier we have described a model of pattern-appropriation and relations between epistemic and collective distributed cognition with Emanuele Bardone ( Pata & Bardone 2014). Then we took a step forward and validated this model together with Tobias Ley and Paul Seitlinger using the tagging data (Ley, Seitlinger, Pata, in press). – collective stabilization is a result of individual pattern formation and artifact-mediated social feedback. In the third step we started to look how these phenomena happen in workplace learning situations. In the Learning Layers project several interviews with workers in construction and healthcare context, and the related sectorial networks have been conducted. 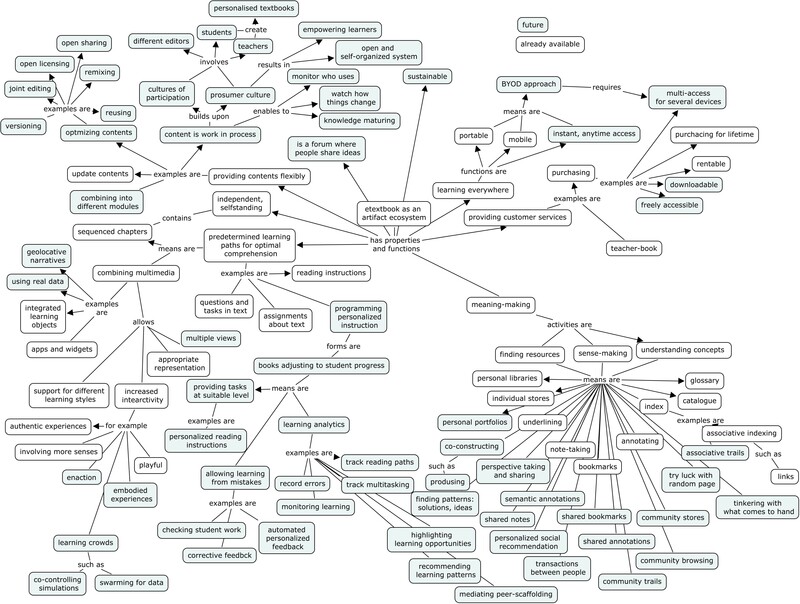 We wanted to use these data to describe the workplace learning patterns. Analytically we first identified existing patterns ( as some practices), and then tried formalising these pattern names. This lead us understanding that central patterns relate solving workplace problems, which brings along knowledge maturing and requires scaffolding learning at individual, collaborative and collective level. We assume that scaffolding learning and the knowledge maturing are two processes of how the individual, collective and collaborative learning systems influence each other through pattern formation and -appropriation. As patterns we consider individually, collaboratively or collectively created repeated solutions to the problems that may appear in different contexts. Taking the distributed cognition stance we may see knowledge as a set of pattern activations. Scaffolding (Vygotsky 1978; Wood et al. 1976) in this model is a process where appropriate guidance structures (scaffolds) are created to enhance individual, collaborative or collectives learning in a fading out manner as the individual, group or collective becomes able in solving certain problems. The neo-Vygotskian perspective in social constructivism assumes that the culture (the collective learning) gives for the individual and for the collaborative learning the cognitive tools needed for development. Vygotsky (1994) saw the environment as the source of person‘s development and not its setting. Vygotsky’s (1978) socio-cultural theory emphasizes social interaction and the relationships between individuals and assumes that cognitive development, including higher-order learning, is rooted in social interactions and mediated by abstract symbols. These are not created in isolation but rather are products of the socio-cultural evolution of an actively involved individual. Scaffolding in distributed cognition framework is supporting epistemic and collaborative distributed cognition, the coordinated functioning of the learner(s)’ cognitive, metacognitive and affective domains embraced by collaboratively and collectively emerging patterns (see Ley, Seitlinger, Pata, in press). The learning of individuals can be scaffolded (Wood, Bruner, and Ross, 1976) in the zone of proximal development (Vygotski, 1978), that initially was defined as the unidirectional difference between what a learner can do without help and what he or she can do with help of knowledgeable other. In later studies the ZPD concept has been extended to several phenomena. ZPD is considered bidirectional in collaborative situations (Forman, 1989; Goos et al., 2002) and is the the learning potential in small groups where learners have incomplete but relatively equal expertise and where each partner who possesses some knowledge and skills requires the others’ contribution in order to make progress. Through the usage and development of personal and collective patterns in individual learning situations Ley, et al. (in press) and in collaborative situations (Rasmussen, 2001) the ZDP may appear between individual epistemic distributed cognition and the collaborative or collective distributed cognition. According to Valsiner (1987), the culture sets constraints through zone of promoted actions (ZPA) (such as collaborative or collective patterns), and the context of action and actual environment may constrain it even further through zone of free movement (ZFM). Scaffolding in a self-organized systems (socio-technical systems) is no more restricted to human expert and learner (Puntambekar & Hubscher, 2005), but the accumulated knowledge and human behaviours in socio-technical system can be used as scaffolds (Lytras & Pouloudi, 2006; Tammets et al., (2014) and individuals, groups and organizations must adapt themselves to the current dynamic state of the system. In socio-technical systems scaffolds appear as self-organized services created in synergy of social behaviours and technical means ( e.g. meaning making by social tagging). Socio-technical scaffolds are by nature meta-designed patterns that evolve through feedback loops involving the users in providing support elements to their problems (see Fisher et al., 2007). The agent(s) (person, group, collective) that solve the problem have awareness of expected state of knowledge (the awareness of collaborative or cultural patterns) but notice the dissonance between their actual state of problem solving and the expected state (that is ZPD in the ZPA and ZFM). Agent)s) request for scaffolding and the agent(s) that scaffold (person, group, collective, socio-technical system) must be aware of such scaffolding requests. Then follows the process to discover the agent’s state in respect to problem (and related patterns) and scaffolding knowledge (and related patterns). This process requires agents to (re)contextualize the problem. Noticing the dissonance/detecting the mistakes between the scaffolded agents‘ and scaffolding agents‘ choice of patterns for solving the problem leads them to negotiate/ground for common understanding. 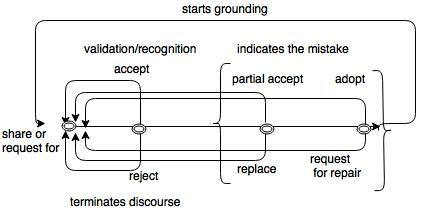 This bases on the discourse act model (see in Traum and Allen, 1994, Clark and Schaefer 1989; Pata, 2005). This (re)contextualization and negotiation/grounding process is done in the fading out manner, that requires the agent that scaffolds to have the dynamic awareness of the changing state of scaffolded agent’s patterns to solve the problem. (Re)contextualization and grounding also may require the remediation of the problem. Validation/recognition is part of the negotiation/grounding acts, it uses the individual, collaborative and cultural patterns to to provide recognition to the current problem solving event and moderates/finalizes grounding acts until the final solution is achieved. In the end of scaffolding process the agent that requested for scaffolding is able to uptake the practice, has the ownership of certain collaborative or collective pattern and no more scaffolding for solving this type of the problem is needed. Knowledge maturing can be understood as a process where knowledge patterns from the individual level are taken up in the collaborative or collective ways through embodied cognitive processes to create collaborative or collective patterns that in turn influence individual, collaborative and collective learning ( Ley et al, in press). Maturing can be explained by trialogical learning (Hakkarainen and Paavola, 2009; Paavola and Hakkarainen, 2014) that describes the systemic (with feedback loop) nature of the knowledge maturing. 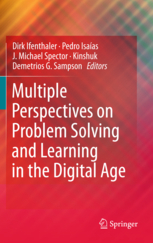 Trialogical learning paradigm (Hakkarainen and Paavola, 2009; Paavola and Hakkarainen, 2014) takes the distributed cognitive stance and contextualizes the usage of digital tools and -artifacts in the organizational knowledge creation processes. Activities in organizations always contain various artifacts (e.g. instruments, procedures, methods, laws, forms of work organization etc.). 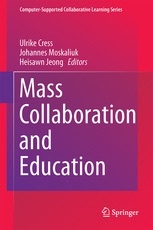 Main core of trialogical learning approach is organizing work around shared knowledge artifacts as mediators of human thought and behaviour (Nardi, 1996) – the emergent interactional resources (Stahl, 2012), which can mediate between individual learning, group cognition and organizational knowledge building, will structure the shared work and reflective practices, may be versioned and iteratively transformed during long term knowledge creation, leading to forming organizational knowledge and practices. By capitalizing on distributed cognition (Hutchins, 1995), the trialogical approach examines knowledge artifacts as materially embodied entities that are worked on in various “external memory fields” (Donald 1991) and “activity systems” (Engeström, 1999) rather than reduced to their conceptual content only (Paavola and Hakkarainen, 2009). In order to transform knowledge artifacts as instruments of their activity, participants have to go through a developmental process of “instrument genesis” (Ritella and Hakkarainen 2012). 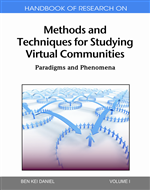 Passing the knowledge artifacts from one technology to another and one social formation level (individual, group, collective) to another requires its remediation as a central practice (Paavola & Hakkarainen, 2014), and allows improving new properties in that knowledge. Remediation in maturing process is done by changing the format of knowledge from implicit to explicit, from practiced behaviours to verbally/visually communicated and written documents. In this remediation process knowledge is taken from individual to socially shared and collectively approved formats, it is formalized and standardized using governance mechanisms. Governance structures are also responsible for knowledge circulation in a systemic manner, enabling the access to matured knowledge (vocabularies, norms, guidelines etc.). According to Schmidt and Kunzmann (2014), the knowledge maturing process actions can be divided between different agent levels in our model. development of the usually abundant items in phase Ia. From the distributed cognition approach to learning (Ley et al., in press), appropriation contains individuals to appropriate collaborative or collective patterns, that can be supported by scaffolding processes. shared vocabulary and associated understanding, and usually many individual contributions get amalgamated. To reach beyond the social group, transformation (III) is required where the focus is on creating artefacts by restructuring and agreeing on. Transformation means that knowledge is restructured and decontextualized to ease the transfer to collectives other than the originating community. Providing shared vocabulary is governance element as well. For further outreach, the introduction phase (IV) provides an initial step in which either knowledge is prepared in a way that it is easier to understand for others as part of workshops or trainings (instructional strand) or put to practice in a pilot (such as process knowledge). Both is experimental and is a learning phase where experiences are incorporated that prepare for a wider roll-out in the institutionalization phase (Va) where the knowledge gets a stable place, either as part of formal training plans, or as company-wide implementations (processes, products or similar). The goal is here to gain efficiency. Both when knowledge is formalized to be understandable for all, and institutionalized are the elements of governance. moves towards standardisation or certification where comparability and compliance play a primary role. It is particularly interesting that according to our approach scaffolding adds to trialogical learning design (Paavola & Hakkarainen, 2009; 2014) this mediation component that allows cultural pattern appropriation in learning. 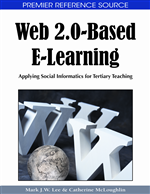 In the next phase we try to validate our model with the workplace learning data. Then we can be more certain, also can we use same action names for scaffolding and knowledge maturing processes in workplace learning.